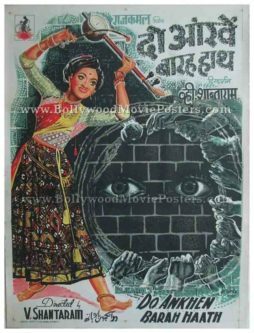 Vintage Bollywood poster for sale of the Hindi film, Bache Mere Saathi (1972). 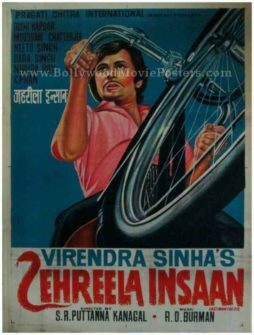 This is an actual surviving vintage Indian film poster of the 1972 movie that was dubbed in Hindi and released under the banner of Rani Productions Madras. 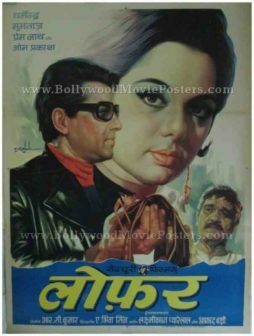 Shortly after its release, Bache Mere Saathi was renamed to Jani Dushman (English translation: Enemy of Life). 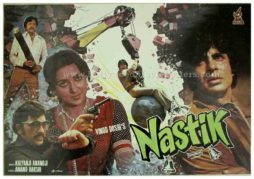 This sudden name change of the film involved a rebranding of the original Bollywood poster which had already been printed. 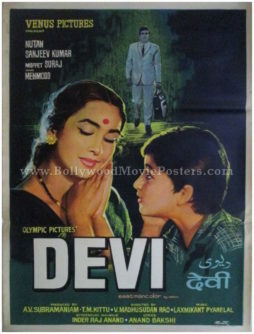 As such, the new title was printed on a separate sheet of paper which was then pasted over the original poster. 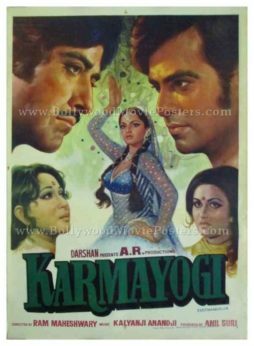 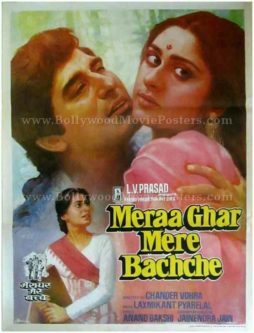 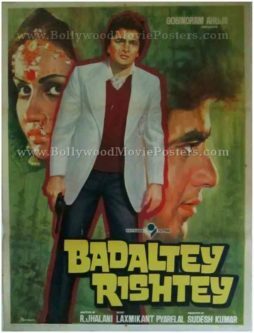 This is an extremely rare example in Indian cinematic history wherein a Bollywood poster has been pasted over to change the title name of the film, making this poster highly collectible! 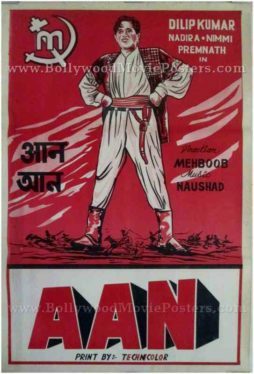 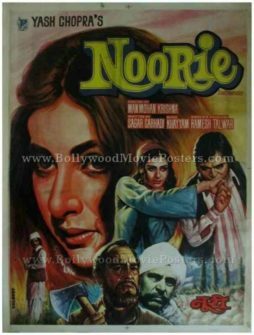 Printed and circulated during the first release of the film (somewhere in the early 1970s), this old Hindi movie poster for sale was originally designed for publicity of the film but never ended up being used. 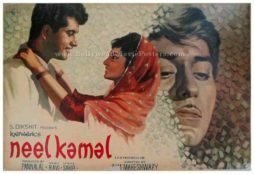 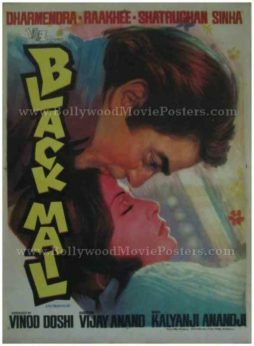 This old Hindi movie poster for sale was originally designed in hand painted oil on canvas format by a leading poster design studio. 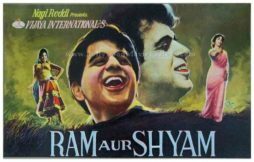 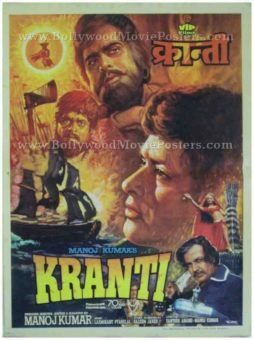 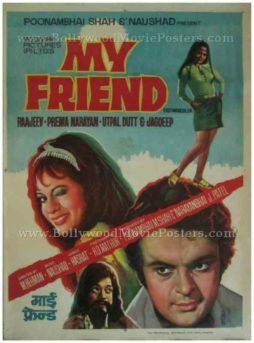 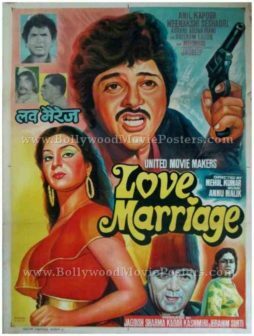 The printed signature of the Bollywood poster painter is seen on the bottom center of this old Hindi movie poster. 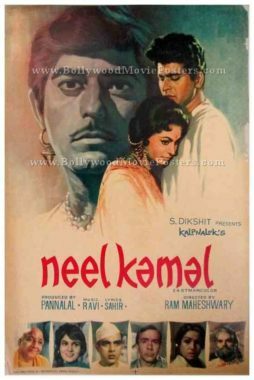 This vintage Indian film poster features an interesting minimalist design. 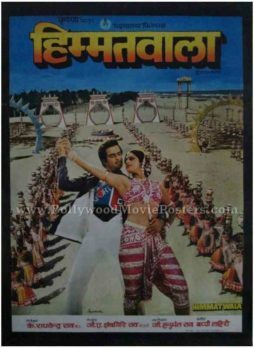 The lead couple is seen dancing in the center. 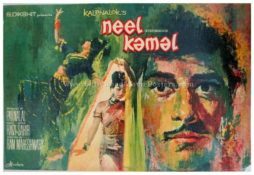 Beautiful brush strokes are visible in the gray background of this vintage Hindi film poster for sale. 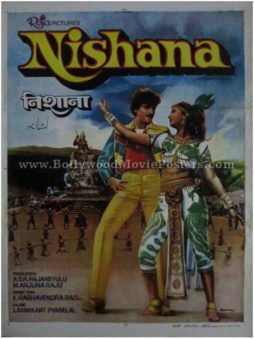 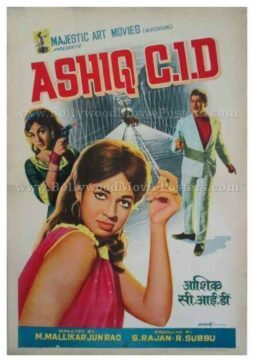 The sudden name change is evident in this vintage Hindi film poster. 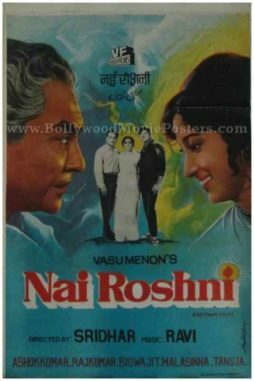 The new title Jani Dushman appears prominently in Devanagari Hindi and again in English at the bottom. 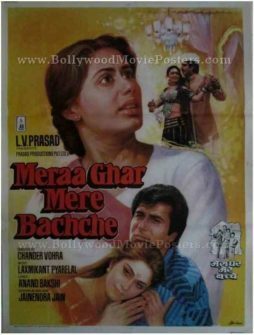 The old name of the film, Bache Mere Saathi is seen in brackets below the new changed title. 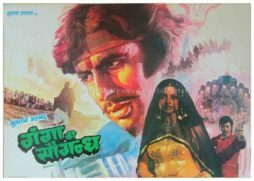 This vintage Hindi film poster has been graded ★ As Is due to irreparable damage on its bottom portion which has been pasted over with a separate piece of paper. 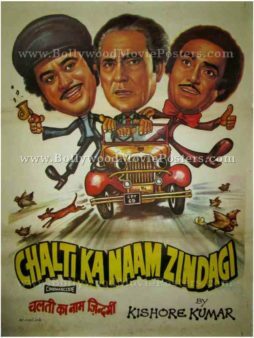 The pasted paper bearing the changed title is very brittle and displays multiple cracks which may increase during handling.